This article is not about learning the ropes, how to use a chamois, 2 step a deck, park a tender, or make a bed. These are all skills you pick up either as you go or from someone you work with. This article is about the things you need to consider as crew either just before you enter the industry or as you start. I am talking here, as always about your money. How to earn, save, invest, and protect it. All these subjects are of course ones which others who you work with will have an opinion on. However, from experience both in the industry and more recently with crew we look after it has become very clear that there are very few people working in the industry who understand these issues, give the right advice, or do the right thing themselves. Most important however is that everyone has an opinion. All yacht crew either know someone who has the answers or thinks they understand all of the issues currently facing Superyacht crew. Some do, but most do not. The biggest of these issues is of course TAX. Everyone has an opinion but remember, your circumstances will not be the same as theirs. Also remember that just because a mate told you that you were ok does not mean you will be. Doing nothing is no longer the answer. Remember, EVERYTHING starts with TAX. If your situation is not clear and you are not organised in this area, everything else in your financial life will be very complicated. 1. 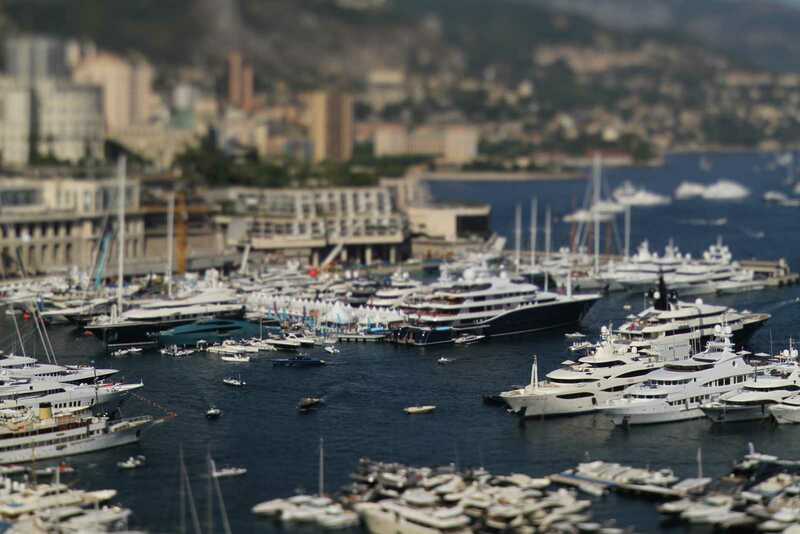 TAX: Before you leave for a life in the Superyacht industry make sure you understand and organise your tax situation. This means everything from your residential status and tax liability to your legal responsibilities. Do you have a National Insurance number? Are you on the electoral role? Why does this matter? Speak to someone who knows the answers and can help make sure you are in the correct position before you go away. The more time passes after you have a job, the harder this is to rectify. 2. BANK: Where do you bank and why? Is this appropriate to the job you either have or hope to have? Remember, when working on a yacht you will generally be paid in either Euros or USD. Therefore, getting paid into a GBP account or AUSD account will cost you money every time you get paid. Also bear in mind that it will cost you every time you spend too. The answer to this is make sure you cover the possibilities. Get yourself a USD and EURO account. This way, no matter what currency you get paid it will save you rather than cost you money. Where do you bank? Offshore or onshore? What does this mean and does it make a difference? The answer is yes, but the reason depends upon you and your situation. 3. SAVE: Once you have a job you will quickly find that you get paid quite well. Even if you are from a country where you have to pay tax on your offshore income you will still be better off than your peers back home. Because you have no living expenses and no bills to pay your money is yours. Bear this in mind though. You will NEVER be in a position like this again. When you leave yachting you will have expenses, overheads, bills, taxes and all manner of other costs that mean your monthly disposable income will be much smaller than it is during your time working on yachts. Make the most of this. Use your time in the yachting industry to save, invest, or both as this is your opportunity to get ahead. Take some advice. Unless you were a stock broker or IFA in a previous job it always pays to use (and pay) a professional. You can of course make your own investments but 99% of the time a professional advisor will save and make you money in the long run. In short, make your money work for you. 4. INVEST: I mentioned about investments briefly above but there are a number of different ways to do this. It ultimately relates to savings but is generally a more aggressive and quicker way to accumulate wealth or future savings, however you like to look at it. Property is a common way to do this as most view it as a safe bet. Get a mortgage, buy a house, rent it out and someone else pays for it whilst you are away. As mentioned above, you are in a great position financially so make the most of it. Obviously it is a little more difficult than this and so use a professional to assist. Again, this will save you money in the long term. You are buying as an investment here and so this is a business decision. Buy at the lowest price for the highest relative return. Shares are another option here and, as mentioned above, if you want to make money doing this use a professional. There is no reason why after 10 years in yachting you would not have 5 properties generating rental income and paying for themselves. 5. PROTECT: You have a good job and you have listened to some sensible advice from professionals and got your tax and residential situation in order. You have saved, invested and taken various opportunities to make your money work well for you. The hard work is over and you are on the path to a comfortable future when you leave Yachting. Remember, you now have much more to lose. Make sure you keep taking advice, listen to professionals when it comes to money not your friends. The more value you and your investments have the more important it is to ensure you do not do anything to risk losing them. Make sure you are aware of anything which may compromise your tax situation for example. How do overseas properties effect you? Have you spent too much time in a particular country? All these factors and many more could theoretically cost you a lot of money without you realising. My advice to you is simple. If you are new to Yachting, talk to a professional before you start out. This is the best opportunity you have to get yourself properly organised before things get complicated or you have no time to do it. If you have been in yachting for a couple of years do what you need to do to get yourself organised. Once it is done things get easier. If you have been in yachting for a while and have never organised your tax and finances, better late than never. It will be complicated but you can relax once it is done. If you pay attention to all the steps above, talk to the right people, listen to advice from professionals and make the most of your situation, the Superyacht industry can set you up for the future. This article, as always is written from the perspective of a UK based crew member and so some points may not apply if you are not British. However, most points are relevant regardless of your nationality.